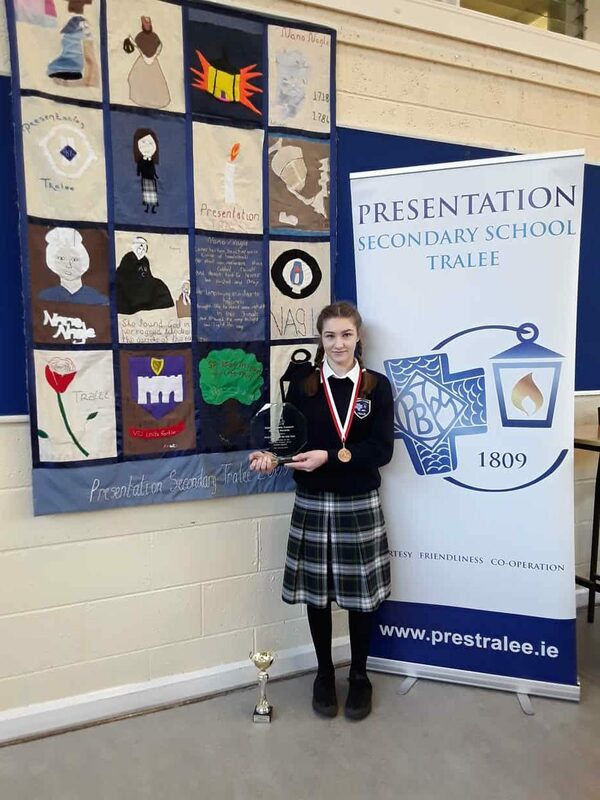 Aoise Healy a 2nd year student recently received an award from Kerry County Council, presented by Ms. Norma Foley. Last year Aoise travelled to Poland to participate in the 4th International Hallwick Gala,which is gala for people of all ages with a disability. In all 7 countries were represented and over 75 competitors took part. Aoise participated in the 25m and 50m swimming event and was thrilled to get a bronze medal. Not a lady to rest on her laurals, Aoise can be found every Friday evening training in the pool with the coach, Brid Browne. Aoise, we, here in Presentation are so proud of you and wish you every in the future.